Sales ledger - preparation and processing of sales invoices, posting and allocation of customer payments. Supplier ledger - processing, coding & posting of supplier invoices. Posting and allocation of supplier payments. Analysing and posting of petty cash payments and reconciliation of cash in. Entries for Ebay/Paypal transactions, for On-line shops and businesses, including reconciliation of Ebay/Bank transactions. Payroll, depreciation & interest journal entries and capital purchase entries. Posting of accruals and prepayments. Full bank reconciliations, trial balance production. Management reports, break even analysis reports & cash flow reports e.t.c. Asset register records regulary reconciled. And then........it is passed to the accountant at 1st Stop Accountany and Tax Services Bristol Ltd, to prepare and produce the final accounts, profit and loss and balance sheet. 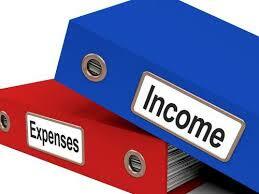 Also to deal with tax computations and the filing of the tax return and company accounts.